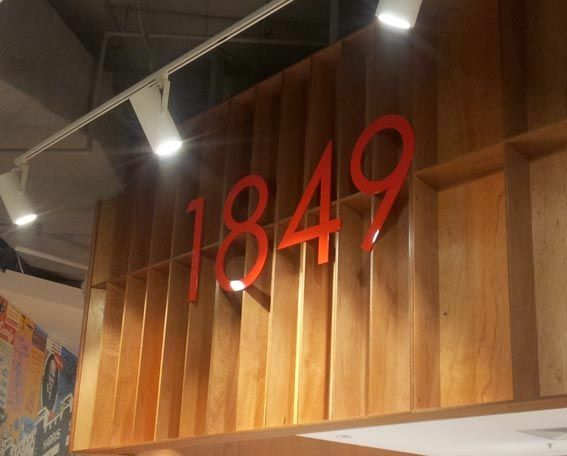 Café 1849 is part of the upmarket transformation of Harris Scarfe, Rundle Place. The café provides a peaceful area to enjoy food and drink, away from the hustle and bustle of a food court. Our craftsmen have cleverly structured and assembled the floating timber feature bulkhead which immediately captures the customer’s attention. 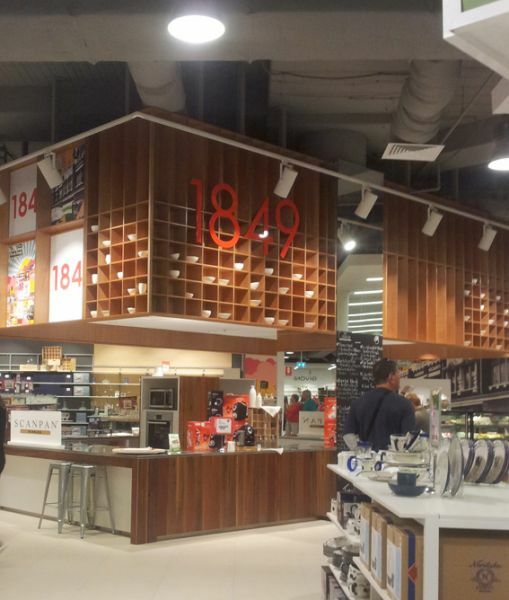 A combination of simplistic branding, quirky and frivolous graphics, open timber shelving and recessed white ceiling.